Join us every morning starting at 5:30 a.m. for fresh homemade cinnamon rolls, local sausage and friends and community. We pride ourselves on quality food, just like grandma made. That means, we buy the freshest local meats, eggs and vegetables right here in our community. 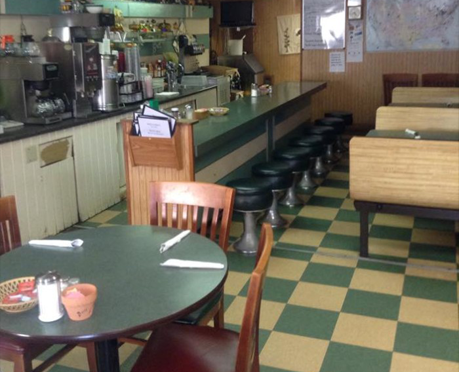 The Busy Bee first opened in 1944, when “mom and pop” restaurants were common. This small, cozy 49 seater is located in the Harmar District right along the water and is easily accessible from downtown by the pedestrian-only Harmar Rail-Trail Muskigum River Bridge or of course the Putnam Street Bridge. Our breakfast menu features many combo plates and a la cart sides.